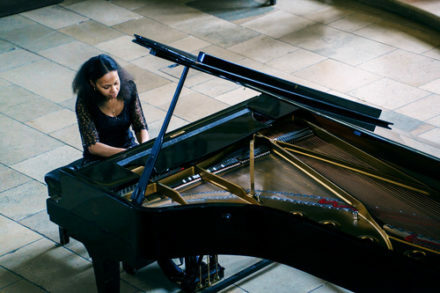 An opportunity to hear Nigerian-Romanian pianist Rebeca Omordia, described by the Guardian Nigeria as “the virtuoso pianist who cast spell on Lagos”. Rebeca has made a name for herself as a vibrant and exciting virtuoso who is in demand throughout the UK and abroad. She has collaborated with an excellent array of musicians including a three-year duo partnership with cellist Julian Lloyd Webber. Rebeca is an advocate of Nigerian classical music and her CD ‘EKELE’ released in 2018 on Heritage Records was described as an “Appealing album” (BBC Music Magazine), “Fascinating programme “(Gramophone Magazine) and “Beautifully delivered recital” (The Sunday Times).